Many tradesmen, myself included, are not interested in the biggest, badest new tool on the market. What makes us happy is a tool that can do the job, yet takes up as little weight or space as possible; this is what Makita's Black line of 18V Sub-Compact Brushless Drivers seems to be offering. Despite the fact that I have access to other, more powerful tools, my go to impact driver is a Makita that I have had for a few years. The main reason for this is the size and weight. It doesn't break world records for torque, but it provides enough for all of the tasks I require of it. While many brands are racing to the top, it seems they have forgotten about what some of their users really need from their tools. Of course, the Black line is not the first sub-compact 18V line from Makita; their White line was. 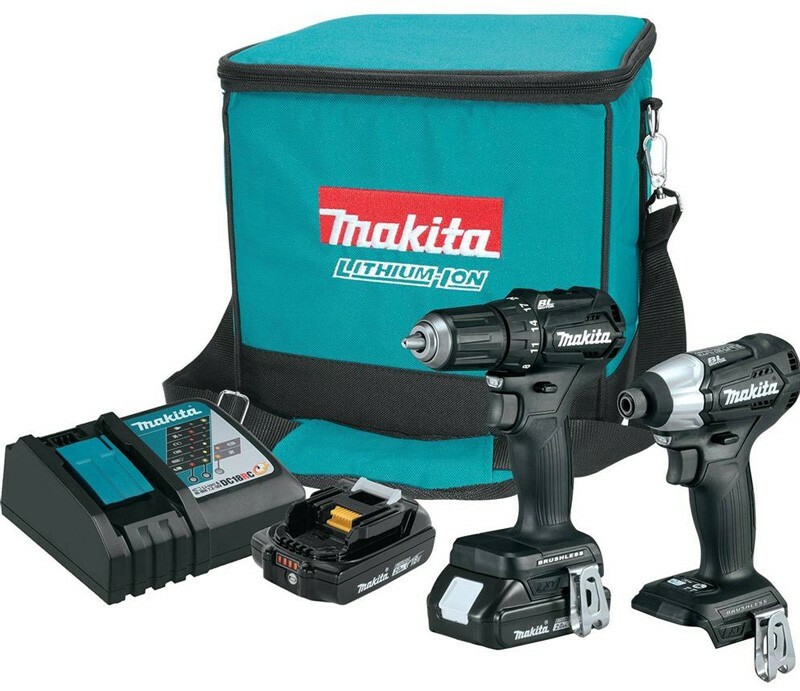 What seems to be the differences here is that the Makita Black line is actually meant for contractors, where the White line was meant for the home improvement crowd. Yet, even though the White line was never really intended for contractors, I always seem to see more of them on the job than the teal tools. Maybe Makita noticed this too and decided to give the people what they wanted. Research on commercial and residential job sites showed us that many contractors own both 12-volt and 18-volt tools, and if a job requires the power of a 12-volt tool then they’ll definitely reach for the most compact tool first, said Carlos Quintana, Sr. Product Manager, Cordless, Makita USA. 18V LXT Sub-Compact Brushless tools give contractors the compact size of a 12-volt tool while remaining in the 18-volt battery platform, and they deliver the performance to cover most applications on the job site. 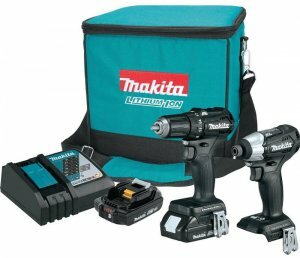 The expansive breadth-of-line of the Makita LXT System means an 18-volt battery from any LXT tool will power the 18-volt Sub-Compact driver-drill and impact driver. 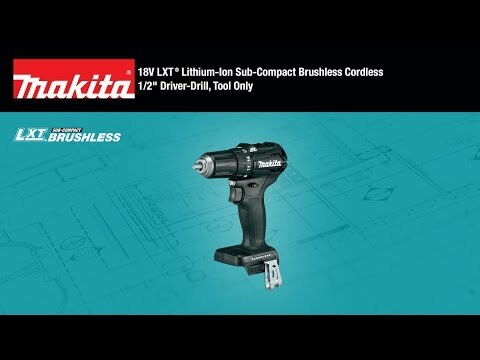 Makita will be offering a Brushless Drill (XFD11ZB) and Brushless Impact Driver (XDT15ZB) as part of the Sub-Compact Black line, but if their goal is to completely replace their 12V line with these sub-compact 18V tools, we could see more in the future. Weighing in at only 6-3/8 in. and 2.8 lbs. (with 2.0Ah battery), the XFD11ZB has a mechanical variable 2-speed transmission (0-500 & 0-1,700 RPM) and dual L.E.D. lights to illuminate the work area. The brushless motor delivers 350 in. lbs. of torque, which is electrically controlled to provide constant torque and RPM's even as demands change. The Black Makita Impact Driver has two-speed settings and 1,240 in.lbs. of Max Torque, which is more than enough for most applications. A new driving Assist Mode (A-mode) helps eliminate "screw cam-out" and "cross threading" by driving at low speed until tightening begins, and is ideal for driving longer fasteners. It comes in at only 5-5/16 in. and 2.6 lbs. (with 2.0Ah battery). Both tools will be sold without batteries or a charger so you can easily add them to your existing arsenal, or you can purchase a Combo Kit (CX200RB) that includes both tools, two 18V LXT Compact Lithium-Ion 2.0Ah batteries, Rapid Optimum Charger, and tool bag.